It was originally intended that this would be announced and presented next June, but after Mr Rose’s action and some other developments it was decided to proceed now. Mr Rose is basing his claim to copyright on the assertion that he is the first person to publish these manuscripts in the EU. In a statement, he says that in the EU, “there is a provision in law that the first person to publish previously unpublished material entering the public domain acquires economic rights equivalent to copyright for a period of 25 years”. Mr Rose indicates he decided to publish the manuscripts at this time in order to forestall any less well-disposed party acquiring the rights and exercising a strangle-hold over Joyce scholarship. Despite these declarations, if his claim to be the copyright holder is correct, the National Library and Joyce scholars would need his permission to publish any substantial portion of these manuscripts. They could also be obliged to pay a substantial fee to Mr Rose for such use. Mr Rose described the decision by the library to place the manuscripts online as “unwise” and “precipitate in the extreme”. He said it was strange that a body which had been so extremely careful about these documents for so long had suddenly become so careless. Ms Ross said the whole issue of copyright – not just in Joyce studies – was being examined by a copyright review committee set up by the Department of Enterprise, Jobs and Innovation. A report from the committee in early February is believed to have provided the library with greater confidence as to its position. It is understood the committee is likely to recommend that the legislation be altered to remove ambiguities in the current law and to facilitate the approach the National Library has now taken. She stressed the library’s primary function was “lawfully to make available to the public the material in its care”, and its online initiative was part of that agenda. She said the library “looks forward to working through the issues associated with the legality of providing access to its materials”. The manuscripts in question were acquired by the National Library in 2002 for €12.6 million. 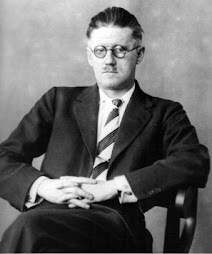 Copyright in them remained with the James Joyce estate until the end of last year, when copyright protection (70 years from the death of the author) expired. However, there remained some doubt about the status of these unpublished manuscripts. Now, both the National Library and Mr Rose have gone past such debate by publishing these documents. Mr Rose’s editions are being published by a previously unknown publishing firm called House of Breathings. The firm is based in East Lansing, Michigan, in the US. 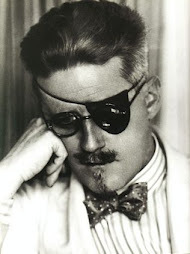 It is believed they are being published in the US because copyright law there indicates more clearly than does EU law that all Joyce’s writings are now in the public domain. The manuscripts are being sold in six volumes costing €75 to €250 per volume, or €800 for the entire series. The volumes are described as edited, annotated and contextualised by Mr Rose. The publishers declare that “should the volumes seem costly, note that they represent many years of unpaid, unsupported scholarship and were developed and produced entirely at the financial risk of the scholar” (namely Mr Rose). Dr Luca Crispi of the department of English at University College Dublin has warmly welcomed the National Library of Ireland’s initiative. He hoped the library’s action would set an example for other holders of major Joyce manuscript collections.